–– Khalaf Ahmad Al Habtoor, Chairman, Al Habtoor Group welcomes His Highness Sheikh Isa Bin Ali Al-Khalifa at his Majlis on Al Wasl Road on Monday January 4, 2016. The meeting, which was followed by a traditional Emirati lunch, comes in the wake of Chairman Al Habtoor’s visit to Bahrain late last year where he was awarded the ‘HH Shaikh Isa Bin Ali Al-Khalifa Award for Volunteer Work’ in the capital Manama. HH Sheikh Isa Bin Ali Al-Khalifa is a member of the Bahraini Royal family. 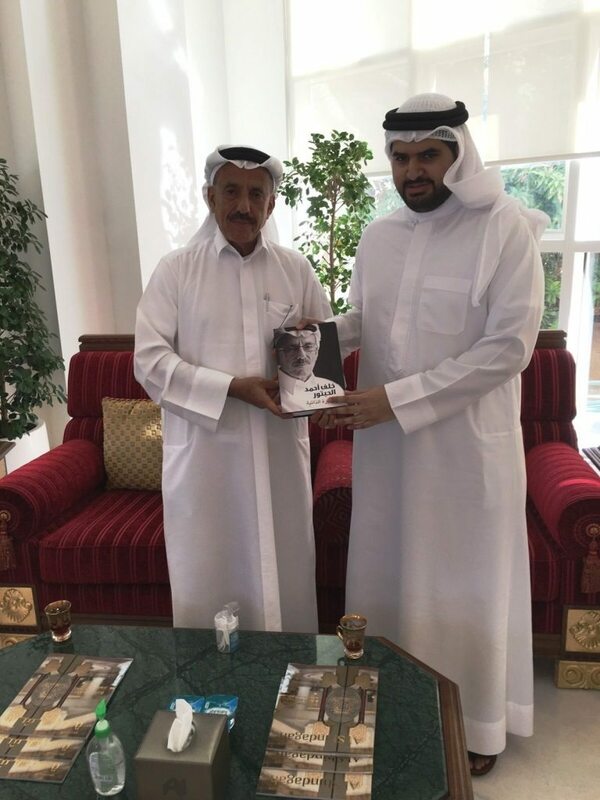 The Chairman gave His Highness with a copy of his best-selling autobiography ‘Khalaf Ahmad Al Habtoor – The Autobiography’. Al Habtoor was presented with a traditional wooden cane, which is seen as a symbol of leadership and strength in the GCC, in appreciation of Al Habtoor philanthropic work.